Ramky estates & farms ltd..: Amazing Offer on booking 3BHK flat @RamkyOneGalaxia!! 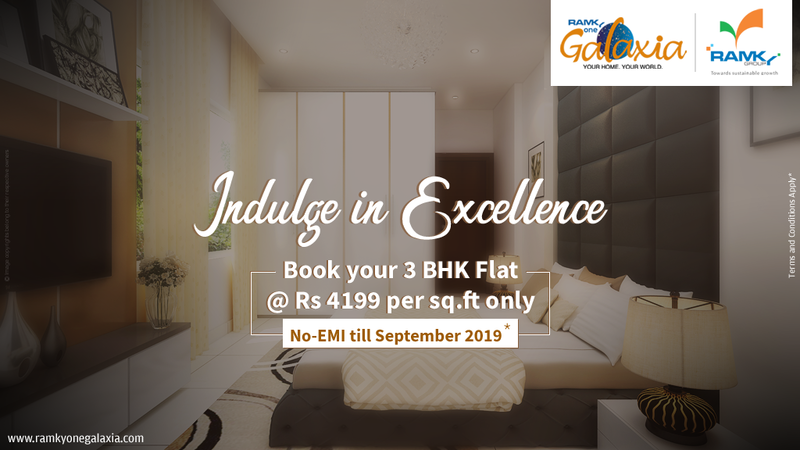 Amazing Offer on booking 3BHK flat @RamkyOneGalaxia!! We, at #RamkyOneGalaxia, offer luxury homes of perfectly planned and laid out living spaces and abundance of light and ventilation for you to find comfort in.